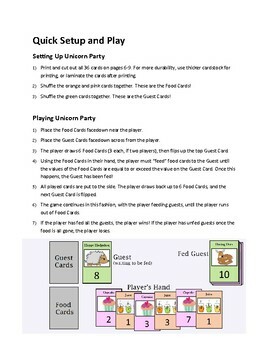 -Print a full classroom set! 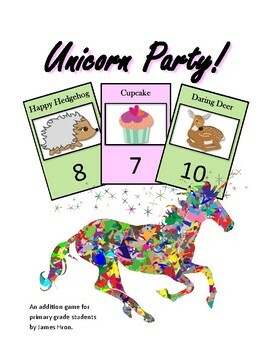 Unicorn Party is an excellent replacement for flash cards and time tests. 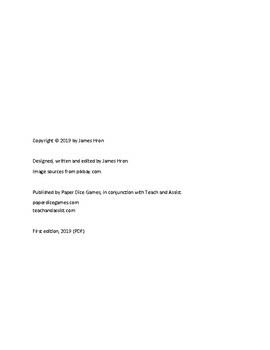 It allows students to practice the same math skills that traditional methods do, yet provides an opportunity for students to be creative, have fun, and become intrinsically motivated towards their goal of the game. 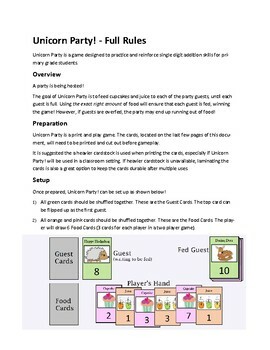 Unicorn Party is a Print and Play game that requires the printing of cards. The rules give suggestions on how to increase the durability of your cards so they can last a very long time!